Railways should be given the utmost priority when developing multimodal transport connectivity in the Saarc region as it would effectively facilitate cross-border movement of people and goods, speakers at a seminar said. “Rail connectivity has to get top priority. It will bolster trade and commerce in the region,” Road Transport and Bridges Minister Obaidul Quader said at the seminar organised by the Centre for Policy Dialogue yesterday. 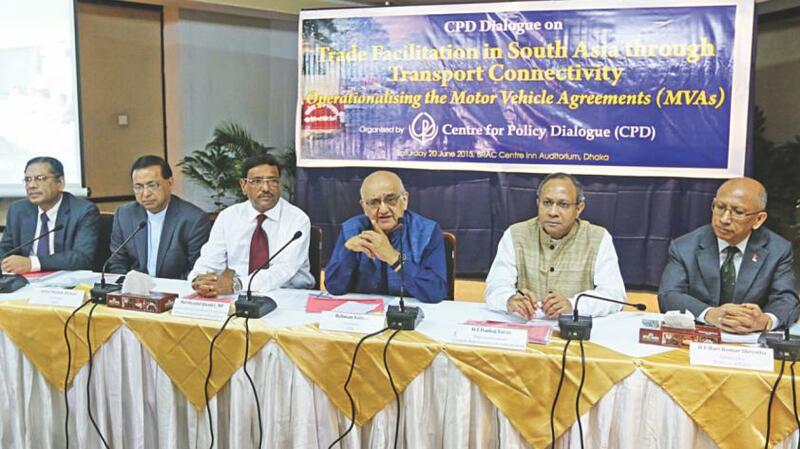 The dialogue was organised to discuss the landmark motor vehicle agreement signed among Bangladesh, Bhutan, India and Nepal in Thimpu on June 15.